I love curling my hair but today I tried something new. 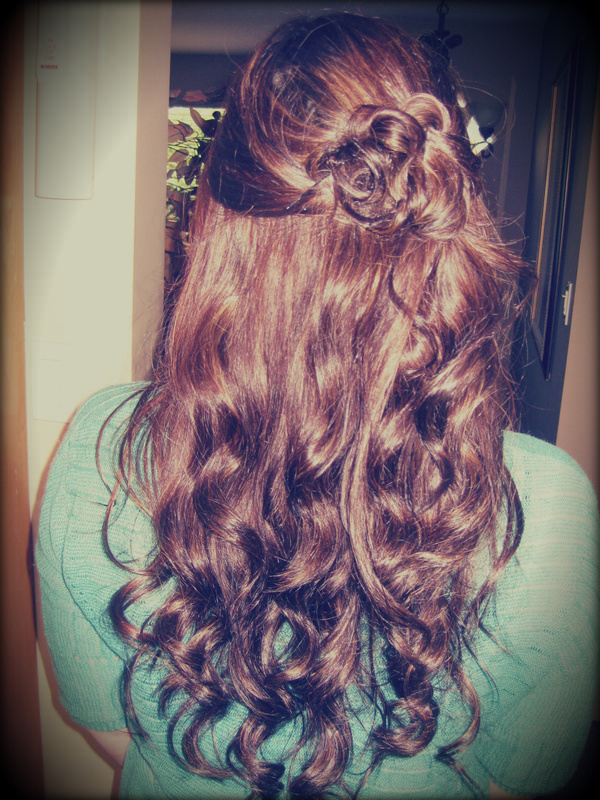 First, I split my hair into three layers and used my wand curling iron to curl each layer of my hair. Afterwards, I pulled the top layer back and used a small elastic band to pull it back. Instead of tying it at the back, I tied it slightly to the right. Then I took small pieces of the hair in the elastic and slightly twisted up the piece and pinned it in place. 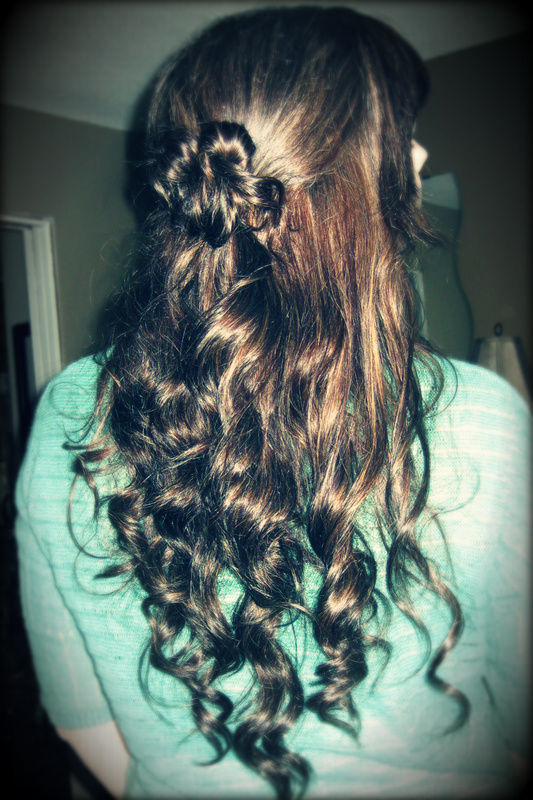 I did this with about three or four pieces of hair (I was trying to make it look like a bun). Then spray to keep in place! Enjoy!